Having hosted many entertainment legends throughout the years, The Arena of Stars at Genting Highlands is no stranger to fame. Melodious crooners, graceful dancers, superb musicians, captivating acts – this place has seen all forms of stardom, and it always welcomes more. Happily, more celebrities are exactly what it will be receiving. As December unfolds, a series of luminaries are set to sign the performers’ guestbook at The Arena of Stars, providing further justification to the venue’s moniker. Enter Air Supply, Kitaro and Grasshopper, who, on different dates this month, will all use the same stage to broadcast their skill set to a live audience. Air Supply Live in Malaysia Hailing from the Land Down Under, Air Supply is a soft rock outfit that gained prominence soon after forming in 1975. The band is linchpinned by the talented Russell Hitchcock and Graham Russell, who hit it off after meeting each other at a Jesus Christ Superstar musical rehearsal in Sydney. The pair went on to found the band with a winning formula; Graham penning the lyrics, and Russell singing them. Among the songs that latched onto listeners are Lost in Love, All Out of Love, Making Love Out Of Nothing At All, Goodbye, and It’s Never Too Late. With multiple hot-selling albums to their name, the pair – who had other musicians join them on occasion over the years – have made quite the impression not just on their fans, but the industry. Their contribution to music was sufficient impetus to get them inducted into the Hall of Fame by the Australian Recording Industry Association (ARIA) in 2013. Decades on, Air Supply have maintained their active status with an album released as recently as 2010, and frequent tour dates on the table; their latest being their 40th Anniversary Tour in 2015, which saw them descend on a number of countries, including Malaysia. Two years later, they return, ready to dole out the ballads their fans know and love. Kitarō – Kojiki & The Universe 2017 A popular culture icon, the name Kitarō has a binding relationship with soothing instrumental music. The man, whose birth name is Masanori Takahashi, is not only a master of several musical instruments, but also a composer and record producer who generates exceptional tunes that would please any eardrum. Kitarō is this Japanese maestro’s childhood handle, which translates to ‘man of love and joy’. It sits well with his calming disposition and sagacious appearance, as well as his signature sound which often has a spiritual quality to it. A keen instrument player in his schooling days, he picked up the synthesiser later on, which heavily influenced his style. It wasn’t until the mid-1970s that his musical career gained traction, and it didn’t take long for his name to be a household one as his electronically infused instrumental sound holds wide appeal. He has collaborated with several big names to deliver stellar performances, and became a bona fide award magnet. It’s quite a heady experience watching the man unfurl his talents before your eyes, as he does in the Kojiki & The Universe Tour that’s en route to Genting. 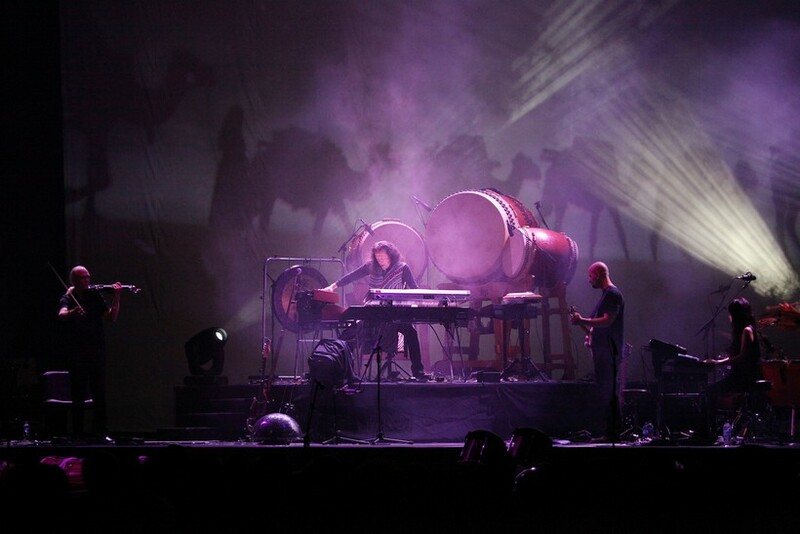 A full-blown audio-visual arrangement, the live concert marries Kitarō’s ethereal music with mesmerising NASA footage, making for a stirring performance! Live Goes On Let’s Celebrate Grasshopper 2017 Having been around for over 30 years, Grasshopper have certainly made their mark in the kingdom of Cantopop. Made up of Edmond So Chi Wai, and brothers Calvin Choy Yat Chi and Remus Choy Yat Kit, the Hong Kong boy group was discovered at a talent show back in 1985. The members, who came from a poor background, managed to win over an influential judge on the Hong Kong New Talent Singing Awards, popular singer and actress Anita Mui. The late Anita saw great potential in the enthusiastic lads and handed them what essentially was a golden ticket to the big leagues – an offer to join her ensemble as backup singers and dancers. It was an opportunity they didn’t squander, as while touring with Anita, they released their self-titled inaugural album in 1988; the first of over a dozen in time. The band became very much in demand internationally, a direct result of their lively showmanship and addictive numbers. Despite resorting to an on-and-off approach to band unity in recent years due to their solo commitments, Grasshopper is still officially alive and kicking, and they are poised to give their Malaysian fans a sensational evening of song and dance this New Year’s Eve.